Welcome back! We hope you have had a fabulous February half term! The teacher in Year 5CW is Miss Wright. The teaching assistant is Mrs Knight. During Autumn 1 we have looked at the Maya! We have used books to research different aspects of their culture, and have used the internet to research the countries that they lived in. 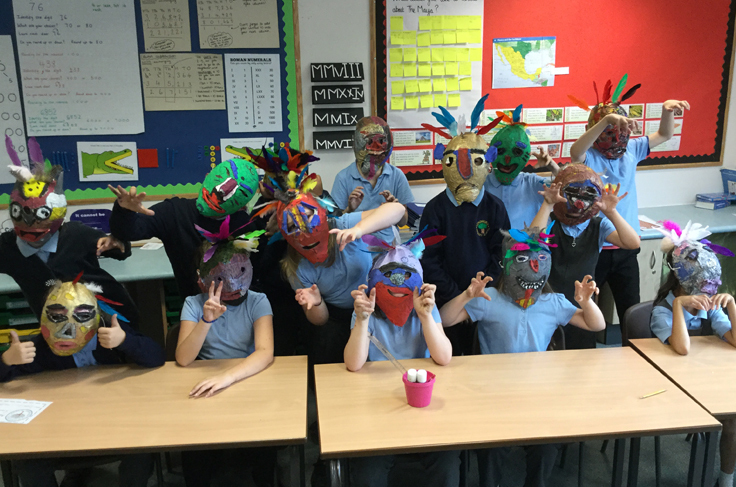 We created Maya masks using paper mache to create the shape and used paint to add the details. As a class, we have been reading Kensuke’s Kingdom and have done lots of writing on this, imagining we are Michael who has been lost at sea, and creating our own island. In Autumn 2 we have learnt about how old age affects us and how to keep ourselves healthy. We have learnt how to make stockings for Christmas. We used Up! to create a biography and wrote a dramatic story about a pigeon on its quest to eat a delicious bagel. In Spring 1 we have been learning about forces – looking at air resistance, gravity and water resistance; we have created and tested our own parachutes to protect our Lego people! We have looked at important scientists such as Sir Isaac Newton and Galileo Galilei. We have also been learning about deforestation and the devastating effect it has on our planet. We have written letters to Nestle and have started a setting description describing a tropical rainforest. Next term we will be looking at the local history of Dukinfield and Manchester. We will also be looking at materials and their properties. 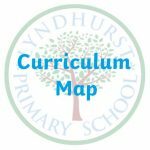 As well as weekly homework, your child has a reading book which they are expected to regularly practise reading at home.Each child will be listened to read at least once per week by an adult. A reading quiz will take place on the computers before a child can take home a new book. We use Dojo points in school to reward positive behavior. You can see the points your child has been awarded. Please sign up and stay in touch. If you would like to provide your child with a healthy snack, they can keep this in their tray or book bag. If you would prefer to have an extra snack provided for your child by the school, there is a cost of 20p per day. The children are responsible for looking after this money, and buying the snack at play time. Please provide your child with a labelled water bottle. These can only be filled with water (not juice!). We have P.E. on Tuesdays and Thursdays. Children will need a plain white t-shirt, black shorts and black pumps in a bag. Please ensure these are all clearly named. On Tuesday’s we go swimming (up until Easter). Please make sure that your child has a swimming kit and their uniform has their name in it. Our class book this term is Tuesday, we have attached a link to YouTube on the homework. In reading we will be having a big push on ‘reading for pleasure’ at home and during school as well as focusing on our inference skills, working on reading between the lines. Our History Topic for this term is local history, looking at the role of Manchester and Dukinfield in industrial revolution and important figures that have come from this area. In computing we will be looking at how to use Excel and other Microsoft programmes to present data and information.